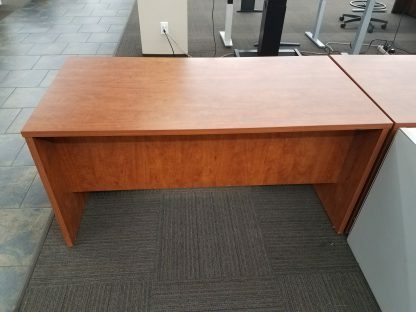 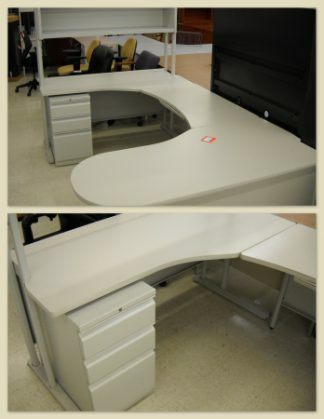 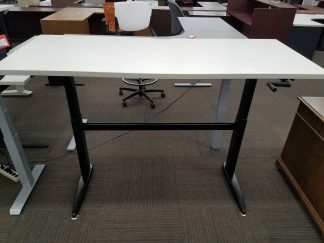 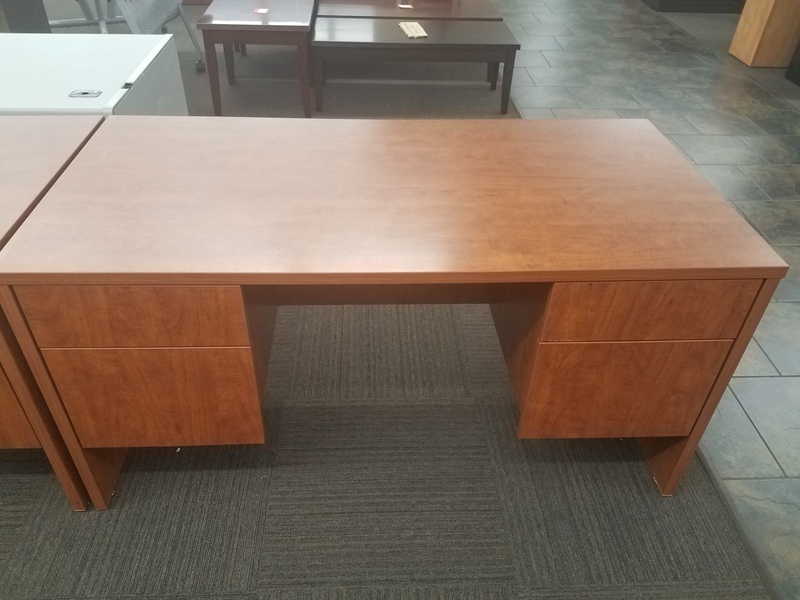 Used cherry laminate double pedestal desk. 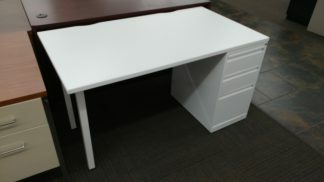 Includes two supply box drawers and two file drawers that accommodate hanging files. Drawers do not have locks.